Drip campaigns are a logical sequence of emails automated to send at pre-set time intervals, based on specific actions taken by the recipient. Maximize your email campaigns’ effectiveness, while also streamlining the process for more efficiency, by creating a custom, automated email drip campaign. 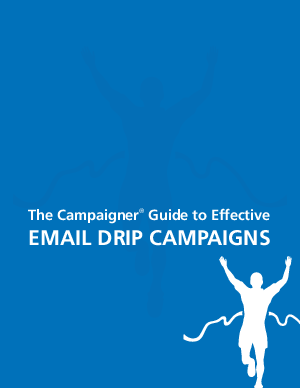 This guide will show you everything you need to know about drip campaigns, and explore the two main components that create a successful campaign.